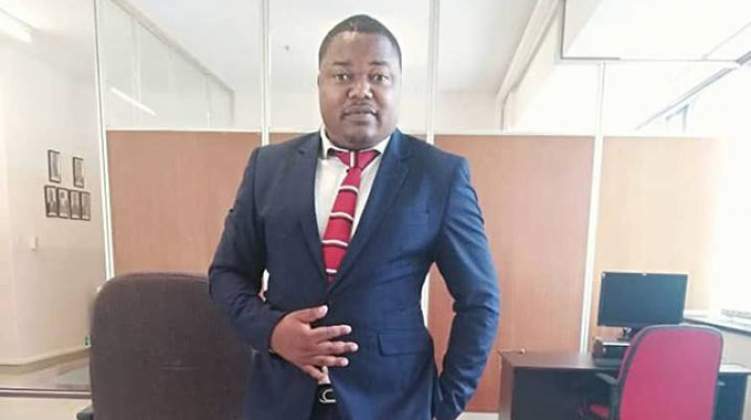 There was jubilation at the MDC Headquarters Monday morning after former Herald Political Editor Tichaona Zindoga was promoted to Deputy Editor of the same paper. 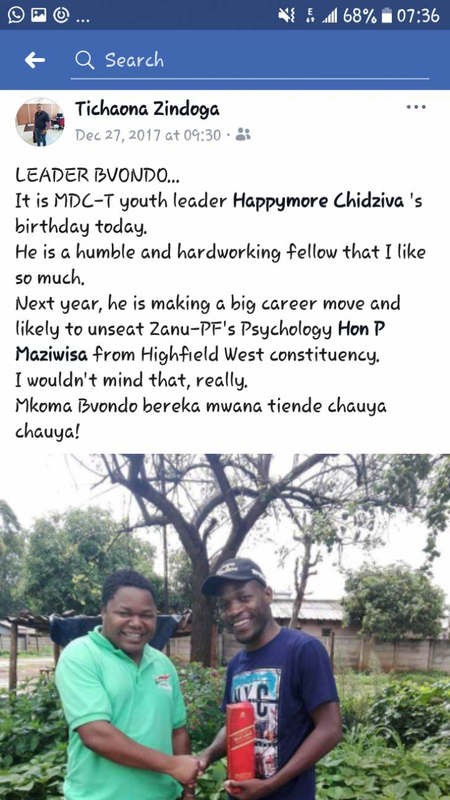 MDC staffers who spoke to us said MDC leader Nelson Chamisa now has a very strong ally in the echelons of power at Herald house and this will help advance his cause and get better and positive coverage unlike before. 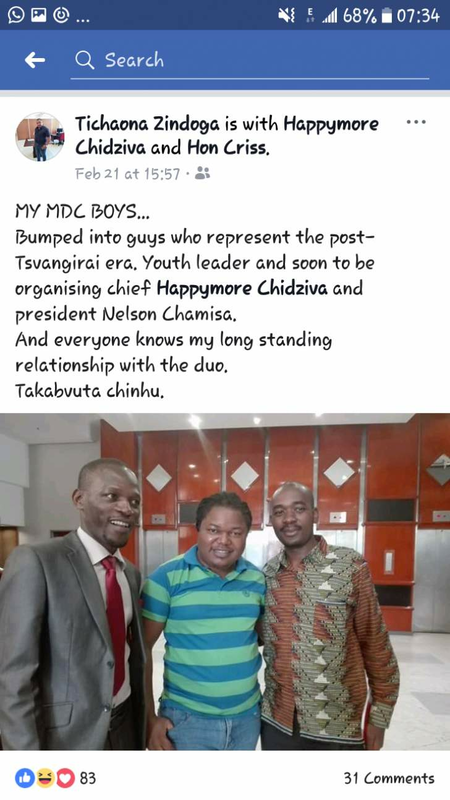 Zindoga with MDC leaders earlier this year.